Among the regular criticism offered by those who oppose a feasible conspiracy regarding the assassination of President Kennedy is the Central Intelligence Agency would not use Lee Harvey Oswald because of his alleged character and unstable lifestyle. Yet official documents prove that is not the case and when Oswald is compared to some cases of highly unstable operatives and unsavory former enemies the Agency used, Oswald comparatively is the most stable choice offered. Despite asserting instability would preclude official use by the CIA, the evidence reveals it certainly did not. Unquenchable commitment to a goal is admirable when the cost of such exertions leads to beneficial results, but some goals are not too lofty but left to better circumstances and personnel to execute them. Some officials in the Central Intelligence Agency would not just bend the rules for moments of great consequence, but ignore them when they deemed a potential operative or source was too valuable to allow normal protocols. Public backlash and international blowback were not overwhelming considerations when compared to operational goals. Even madness and crimes against humanity would not dissuade the use of some monstrous individuals for Agency projects following World War II. The Soviet Russia Division of the CIA employed forty five year old Latvian born Freds Ziedonids Launags as a contract agent from "1951 through 1959". He was a member of the Latvian underground targeting Soviet interests and operated seemingly under military cover according to public sources that attribute service to the US military during this period. Launags was recruited in Sweden and transported to Germany to participate "...in training of REDSOX agents dispatched in Latvia in 1952." REDSOX operations included illegal actions directed at Soviet targets that included but was not limited to intelligence gathering, recruitment of sources, and using agents for spot targets for sabotage. However, all other agents used in these operations were exposed and the Soviets "...either killed or captured" all of them. Launags was utilized two years for "...general support purposes" and in 1955 he indicated on an official medical history that he had been nervous since the end of WWII and "attempted suicide in 1951". After examination by official medical staff, he was "found to have had a brief psychotic episode in 1951 and always had a schizoid type of relationship with people with many obsessive-compulsive defenses." His coworkers referred to Launags as a "character" and he was assigned temporary duty in 1955. CIA officials subsequently place him in Spain to perform propaganda broadcasts to Latvia via Radio Madrid. During his service in Madrid Launags "...had many paranoid projections and felt that he was under constant surveillance and that even his colleagues hated him." Despite Launags posing a feasible danger to CIA operations and himself the Agency continued to use him for years. In 1957, officials undertake another evaluation of Launags reaffirming prior findings of psychosis and further add depression to the list of problems. Despite these affirmations and the years of aggressive mental problems, the CIA again reassigns Launags to Germany where he performs operations in the Baltic launched by the CIA's Frankfurt Station. The Agency fired him once they had repeated confirmation of Launags psychological instability. A month following his dismissal Agency employees met with Launags to relieve him of a weapon he retained and to gather information about his current activities. Yet Agency employees use the false pretense of wanting to give Launags an assignment to meet with him and the CIA had multiple employees from the Medical Staff and Office of Security present for this gathering.iii These additional measures were due to Launags insanity and were largely four years too late. After Launags arrives, repeated employment losses force him to consider repatriating back to Latvia but the Agency seeks to prevent this by persuading him to seek mental help domestically. This was likely due to the possible exposure of clandestine plots and the blowback suffered when they are revealed. During subsequent years, Launags might have received some of the medical treatment necessary because he is later referred to as a writer, poet, and member of the Latvian resistance in media publications. Yet it took the CIA over four years and three evaluations to relieve Launags of his official role. How many Agency operations might have been compromised because the person undertaking them them was deranged? Saevecke then became an officer in the SA until the group is destroyed and supplanted by the Schutzstaffel better known as the Nazi SS paramilitary organization. He later aided the German war effort in Poland and Tunisia and rose to become a Captain in the SS and Commander of the regional Gestapo secret police. Nazi leaders assign Saevecke the Lombardy region of Italy and he took residence in the city of Milan. Decades later, he is charged for ordering over a dozen officially sanctioned murders, linked to the abuse of Jewish prisoners in Tunisia, and hounded by persistent accounts that he ordered several public deaths by hanging or firing squad within Poland during 1939.v Allied forces imprison Saevecke after the war but eventually they release him without charges from their custody. 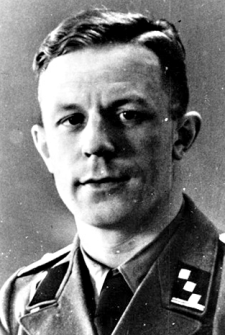 In 1954 Saevecke was one of several former Nazi agents that later gained employment with the SD West German police organization established less than a decade prior. The Security Group of the West German Criminal Police Office in Bonn employed Saevecke and he was also simultaneously a liaison contact with an unnamed US government agent and sought help regarding his public denunciation by an Italian religious official and his supporters. Eventually he was suspended and investigated but the Agency was "unhappy" about the latest charges targeting Saevecke and "...would like to help should we be in a position to do so". Officials cite the charges potentially would damage not just Agency interests but the command structure and morale of the West German Police.ix Additionally, if Saevecke was found guilty he would likely also be prosecuted for wartime crimes by a German court as well. Should that have occurred it was further possible Saevecke would compromise all the CIA operations in which he was involved. Saevecke's part in police searches targeting German press outlet Der Spiegel for treason and the resulting scandal brought renewed attention to him. As his past was again facing scrutiny in the press, he transferred from the SD to the BKA Weisbaden aka the German Federal Criminal Police Office in 1963. The Agency learns additional information on Saevecke's time in Tunisia would also likely face investigation, a month following his transfer the Die Welt newspaper carried a story revealing more about Saevecke's past military assignments.x The same document also reveals the Agency provided files to the German Ministry of the Interior in 1955 and"...were able to provide...a body of info which helped serve to exonerate him from the charges".xi Thus, the CIA continued to aid Saevecke despite the worst portions of his past that should have precluded him from service. Launags was a demented person the Agency found value in and was given responsibilities he never should have been. What other mistakes over the years occurred because his fragile mind could not handle the pressures upon it? Saevecke committed abhorrent misdeeds and deserved to face justice but the Agency disagreed while assisting his escape from legal prosecution. Lee Harvey Oswald seems like an even-tempered and reliable soul in comparison to some who verifiably served the Central Intelligence Agency. If official groups will offer deception and ignore the guidelines upon which they claim to operate with ease, it is not unreasonable to doubt their other pronouncements as well.